The newest smartphones on offer from Vivo- X9s and X9s Plus are officially unveiled in China. Vivo X9s priced at ¥2698 (approx. Rs 25,600) and the X9s Plus priced at ¥2998 (approx. Rs. 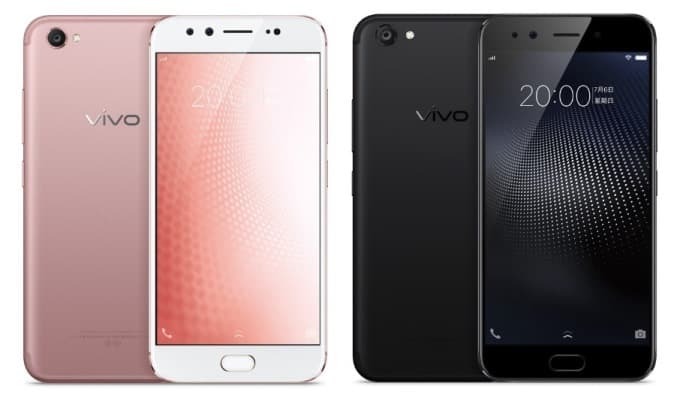 28,500), would be available for pre-booking via the official Vivo store in China. Both the devices are much similar in specifications with overall design and dual front cameras. They however differ on screen size and battery power features. The Vivo X9s sports a 5.5-inch AMOLED display with a 1080 x 1920 resolution. There is a provision of 4 GB of RAM and 64 GB of internal storage further expandable via a micro-SD card. Powered by a Qualcomm Snapdragon 652 octa-core SoC the smartphone comes loaded with 3,320mAh of battery power with fast charging support. Vivo X9s further runs on Android 7.1 Nougat based on FunTouch OS 3.1 and supports a dual-SIM slot. Connectivity options include 4G VoLTE, Wi-Fi 802.11ac, GPS, Bluetooth v4.2, Micro USB, USB OTG, and 3.5mm audio jack. Vivo X9s Plus, as the name suggests is the larger and bigger variant boasting a 5.85-inch full-HD (1080 x 1920 pixels) AMOLED display. Powered by a Snapdragon 653 octa-core SoC and paired with Adreno 510 GPU it comes with 4 GB of RAM. The battery capacity is 4015 mAh also with fast charging support. Rest of the specifications on the device resemble that of X9s. Both the smartphones come with an Always-on display feature, and Vivo is offering the Hi-Fi XE680 earphones for free with both Vivo X9s and Vivo X9s Plus smartphones. The biggest USP of the devices are the camera setup feature. Both the smartphones sport a front dual-camera setup which includes a 20-megapixel main camera, along with a 5-megapixel secondary camera with soft-LED flash. At the back there is a 16-megapixel camera with LED flash and PDAF. Vivo X9s and X9s Plus would retail in Matte Black, Gold, and Rose Gold color variants. The Vivo X9 Plus would be available for pre-order from July 8 while the X9s would follow the suit starting July 14. At present, there are no details regarding their availability for the markets outside China.